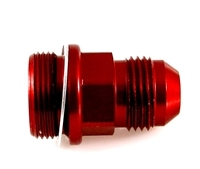 XRP's carburetor adapter fittings are the third and final step to completing your hose assembly. 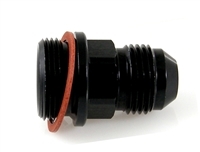 The AN side of the fittings uses a 37 degree sealing angle that guarantees a positive seal at maximum operating pressures. They feature aluminum construction that has been anodized for protection against corrosion. Adapt to any situation with one of these XRP adapter fittings. Quality carburetor hoses make a great addition to any race car's performance.